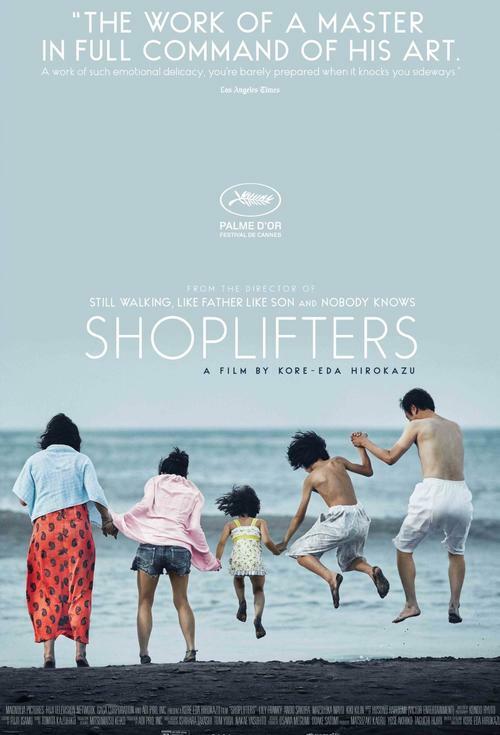 Winner of the Palm D'Or at the 2018 Cannes Film Festival, and nominated for the Academy Award for Best Foreign Language Picture, this understated yet deeply affecting drama from Japanese director Hirokazu Kore-eda follows a a dysfunctional band of outsiders on the margins of Tokyo who are united by fierce loyalty and a penchant for petty theft and playful grifting. After one of their shoplifting sessions, Osamu and his son come across a little girl in the freezing cold. At first reluctant to shelter the girl, Osamu’s wife agrees to take care of her after learning of the hardships she faces. Although the family is poor, barely making enough money to survive through petty crime, they seem to live happily together until an unforeseen incident reveals hidden secrets that upend their tenuous, below-the-radar existence and test their quietly radical belief that it is love—not blood—that defines a family.